Conveniently located just 1 minute walk to Tanah Merah Interchange MRT station, Urban Vista is close to abundant recreation, shopping and amenities, malls, food centres, markets & services. 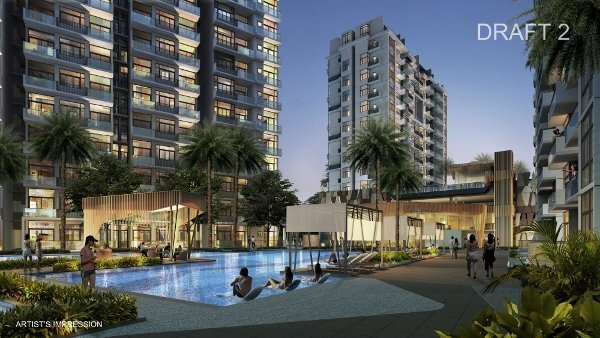 East Village, Bedok Point, Changi City Point, and Siglap Shopping Centre are just a stone’s throw away. Urban Vista will also benefit from a future mixed retail/residential development just next door that will bring shops and restaurants to its doorstep. For leisure, East Coast Park is easily accessible via park connectors.Urban Vista is also a mere 2 MRT stops away from Changi Airport, and 1 MRT stop away from Changi Business Park and Singapore Expo. The upcoming Singapore Univerity of Technology and Design (SUTD) as well as several local and international schools such as Anglican High, Temasek Primary, Temasek Junior College and United World College are also in the vicinity. In addition, Urban Vista also provides easy access to other parts of Singapore via major expressways such as PIE, ECP and TPE. This excellent location gives Urban Vista high rental potential. Jointly developed by Fragrance Group and World Class Land, many units will feature high ceilings and a modern and space-efficient loft-style design. Developer’s units are now FULLY SOLD! Please contact me if you would like to buy a resale unit or list your unit for sale. If you love this area, do check out the latest Tanah Merah condo, Grandeur Park Residences that is also next to the MRT station. 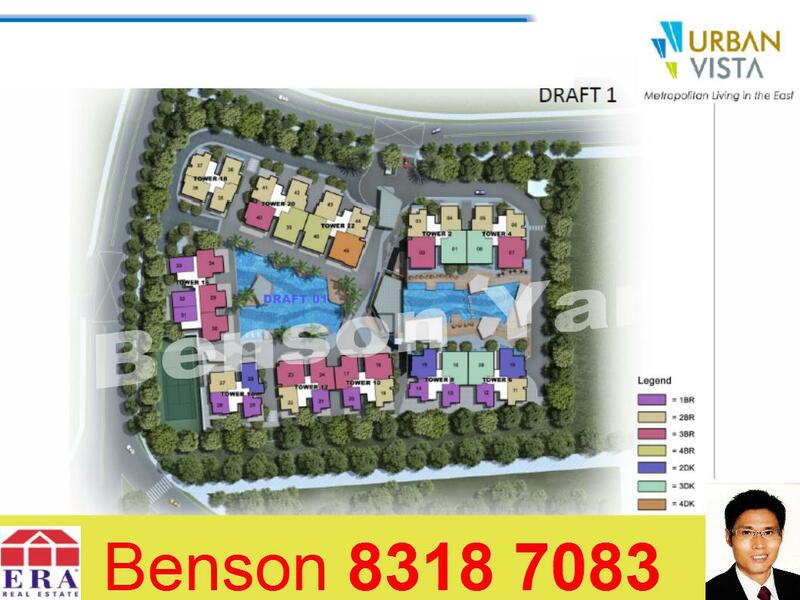 Here is a brief description of the various unit types available at Urban Vista. 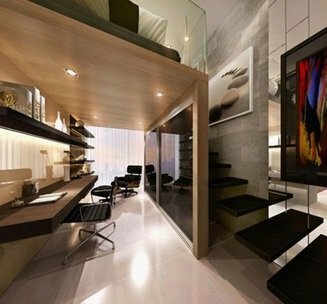 1 and 2 bedroom units with double volume ceilings and a loft-style furniture deck to create more space for a home office or study.Suites: 1 and 2 bedroom compact and efficient units (no furniture deck). 3 and 4 bedroom units with double volume ceilings for a spacious and airy feel. 2, 3, and 4 bedroom units with two separate entrances and living spaces. Ideal for multi-generational families, rental, or home office. View the full set of Urban Vista floor plans here.